Aloe Vera is a widely recognized plant. The plant is used in herbal and conventional medicine. It contains more than 200 nutritional components and it comes as no surprise that this succulent plant is much sought after. Extracts of Aloe Vera are also used in the cosmetic industry. The major compound in aloe vera is water (99%) and the gel substance we use so much. This is perhaps what makes it beneficial in skin care and our overall health. Aloe Vera has been used for more than 5000 years which goes to show that its nutritional value was discovered a long time ago. Below we highlight the nutrients in the plant. Vitamins. Aloe Vera is rich in vitamins A, C and E. It also contains folic acid and choline which are part of the complex vitamin B. vitamin B1, B2, B3 which is known as niacin and vitamin B6 are all found in the plant. Not many plants can claim to be source of vitamin B12 and aloe vera is a great source. Minerals. There are more than 20 minerals in this plant and some of these include zinc, sodium, potassium, manganese, selenium, calcium, magnesium, iron and chromium. Amino Acids. Amino acids are essential organic compounds. They contain carbon, oxygen, nitrogen and hydrogen. They are key in the formation of proteins. Out of the 22 essential amino acids present in the body, eight are highly essential. Aloe vera boasts of about 20 amino acids and it has all the eight essential amino acids. Fatty Acids. Fatty acids can also be found in aloe vera and the plant has three sterols which are essential fatty acids. These are HCL cholesterol which is vital in lowering fat within the blood as well as B-sitosterol and campesterol. All these amino acids are essential in enhancing acid digestion and relieving allergic symptoms. 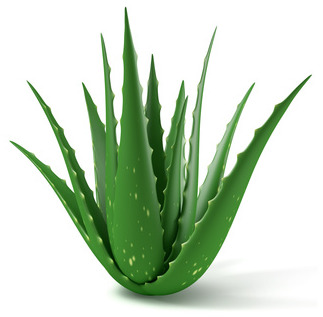 Other fatty acids present in aloe vera are linolenic, linoleic, caprylic, stearic, oleic and palmitic. Owing to the various ingredients contained in aloe vera, there are plenty of health benefits of using this powerful plant. The adaptogen powers of aloe vera allow it to create a well balanced body system as it stimulates the body’s adaptive and defense mechanisms. Aloe vera has been known to cleanse and soothe the digestive tract. It reduces bad bacteria from the digestive system meaning you also get to enjoy a better metabolism. Aloe vera can also help you get rid of the toxins in the body. Being a gelatinous plant food, the gel in the aloe helps encourage movement of food in the intestines as it absorbs the harmful toxins. It’s important to note that diseases cannot develop in an environment with alkaline. There is an 80/20 rule in health –acidic foods need to be 20 percent while alkaline foods take up 80 percent. As a plant rich in alkaline, aloe vera can help provide essential alkaline in the body and thus reduce the acidic levels. A study published in the British Medical Journal highlighted that B-sitosterol could help lower the levels of cholesterol in the body. It is believed that when the extract injected into the blood vessels. This in effect improves the circulation and oxidation of blood in the body hence making the blood less heavy. Cholesterol increases your risk of heart disease and lower levels are good for the heart. Aloe vera contains polysaccharides which stimulate white blood cells hence boosting immunity. Aloe vera also contains a high number of antioxidants and these can help fight free radicals which weaken the body’s immune system. Its antipyretic properties also make it effective in preventing and reducing fever. The wonders of aloe vera in skin care are well known and because the gel contains 99 percent water, it hydrates, rejuvenates and moisturizes the skin. It also boosts oxygen supply to the skin cells and consequently strengthens it. Aloe is used in skin repair thanks to its astringent and antipruritic properties. Aloe vera’s nutrients help ward off microorganisms that cause diseases and bacteria. Its antibacterial properties can help clear viral and fungal infections. There are 12 compounds present in aloe vera which can inhibit inflammation and these include B-sitosterol. By detoxifying the body, aloe enhances metabolism making it useful in weight loss. There are different dosage indications when it comes to Aloe Vera. It’s important to remember that aloe vera can be toxic when orally consumed in high amounts. When treating constipation with aloe juice, you can take 100 to 200 milligrams or if you are taking Aloe extract, the amount reduces to 50 milligrams. For diabetes treatment, you only need one tablespoon of aloe gel daily. Aloe vera oral supplements and creams have no specified dosage. The creams especially vary in terms of content. Some contain only 0.5 percent aloe while others have 70 percent. Its best to read the instructions on the tab or bottle or seek medical advice. Most people can be safe to take aloe vera. But it’s still vital to know its risks when taken improperly or in high dosage. Oral aloe vera products can cause diarrhea and cramping due to their laxative effect while topical creams can cause mild irritations on the skin. Aloe vera has also been known to bring about electrolyte imbalances within the blood especially in people who ingest it for a long period. If you are to attend a colonoscopy, avoid aloe vera for about a month as it can stain your colon. Ensure that your oral or topical aloe gel is free from anthraquinones as they can cause irritation within the gastrointestinal tract. Although aloe vera is applied on wounds, cuts and burns, it’s not ideal for severe cases. High doses and long term oral use can increase your risk of developing colorectal cancer. Avoid aloe when suffering from intestinal problems, hemorrhoids, diabetes, heart disease, electrolyte imbalances or kidney problems. People who have allergic reactions to onions, garlic and tulips should avoid ale vera as it comes from the same plant family. Aloe vera should not be used by expectant mothers, lactating women or children. If you are on regular medication, you avoid these supplements unless given the medical nod. Drug interactions could occur between the supplements and the medication you may be taking. What Is the Origin of Marijuana? Can You Drink Milk While Taking Antibiotics?